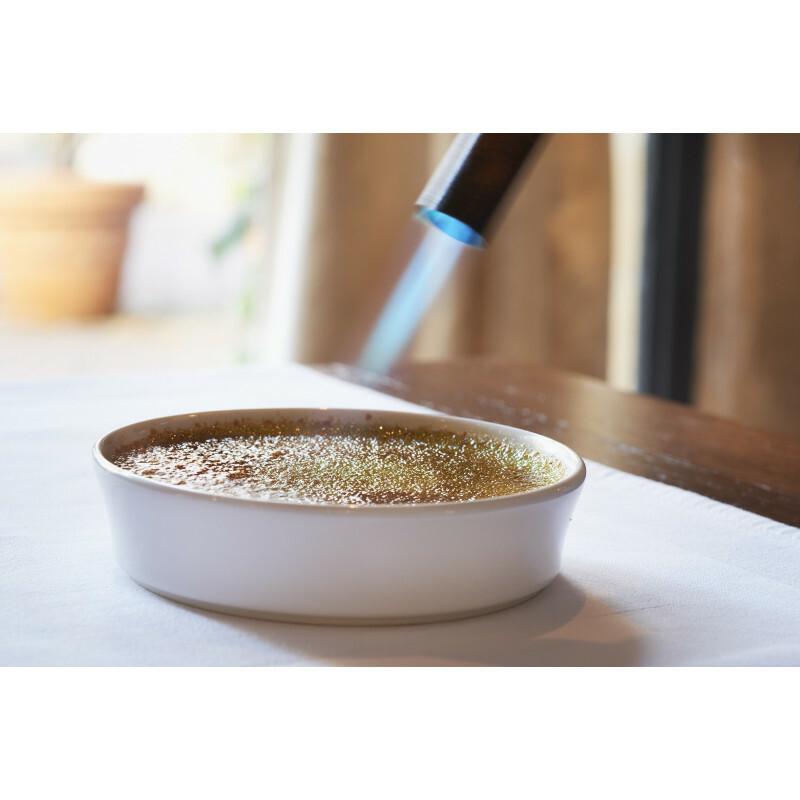 This white crème brulee dish is the purest, simplest Ø5.25, 8.25 oz crème brulee Revol offers. 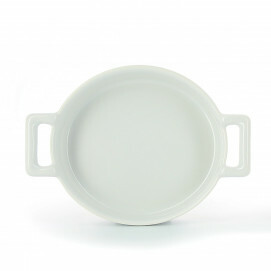 Made of culinary porcelain, they are chip resistant and are specifically made for an oven to table use. Use in the microwave or oven for a perfect baking process of any type of desserts, cremes or side dishes. 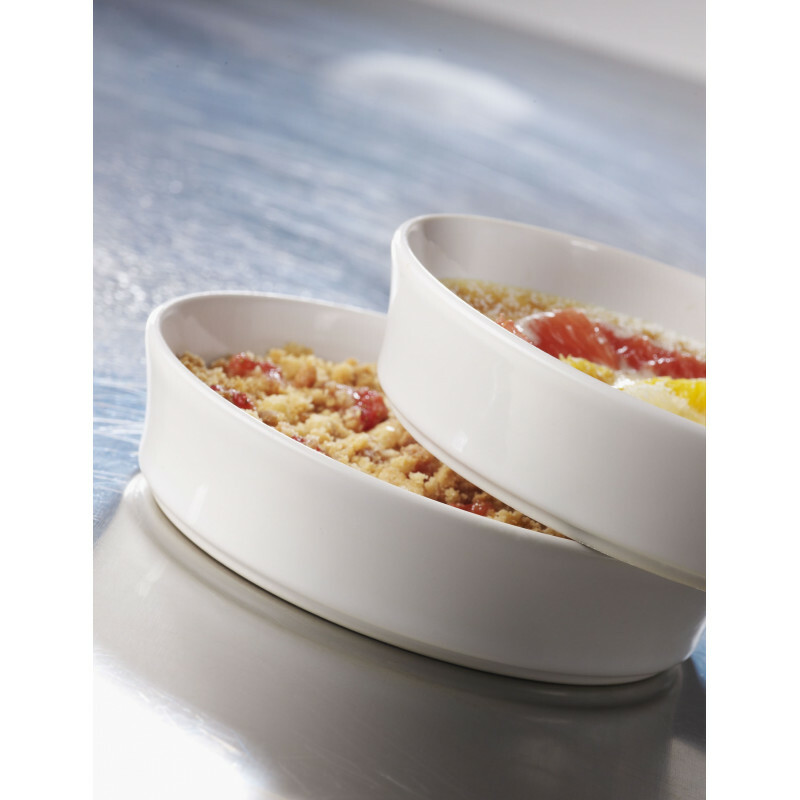 Also dishwasher safe and freezer safe. A must have! Here is a nice idea of presentation : it fit well with the Basalt Matt slate style plate, if you want to add an ice cream bowl in a Crumple cup of the color of your choice. Now, you have a nice modern and colored dessert ! 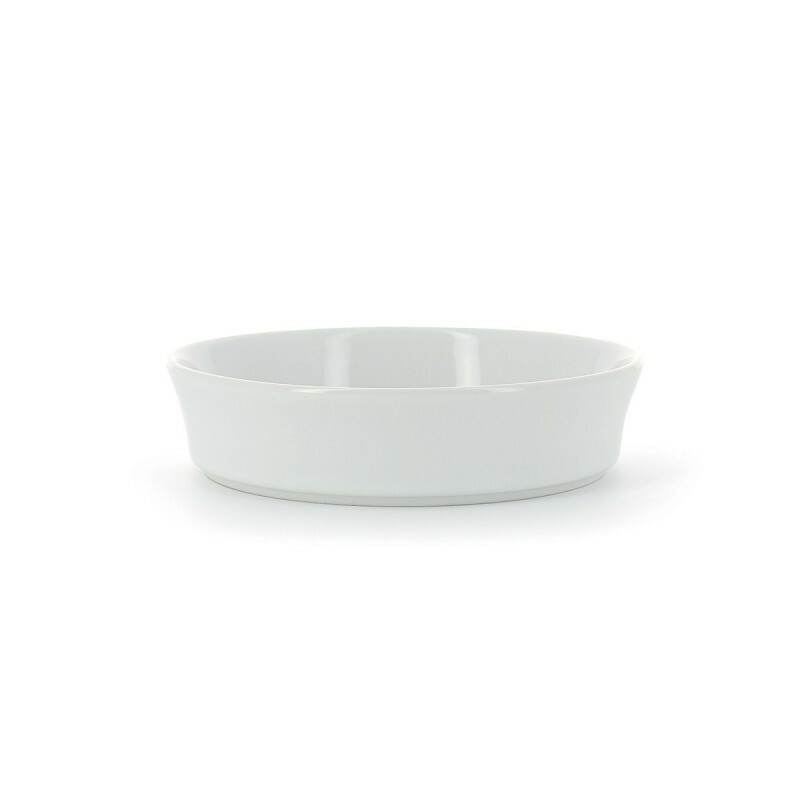 SERVING SUGGESTIONS: Bake, serve, tarts and quiches, crème brulee, mousses and any sweet or savory dessert.